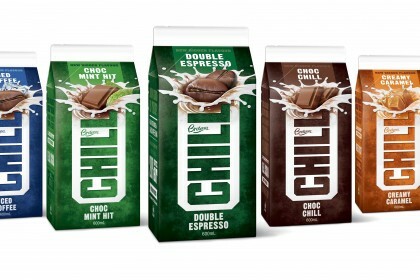 Sydney’s Boxer & Co. was recently commissioned to reinvigorate Brownes CHILL, the flavoured milk brand from West Australian dairy company Brownes. 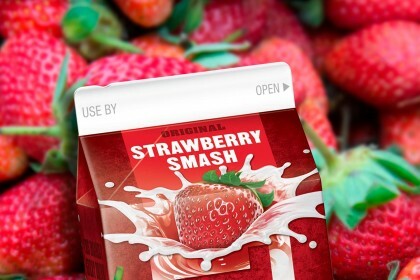 Shopper insights showed that taste and strength of flavour were the key drivers in brand choice and repeat purchase in the flavoured milk category. 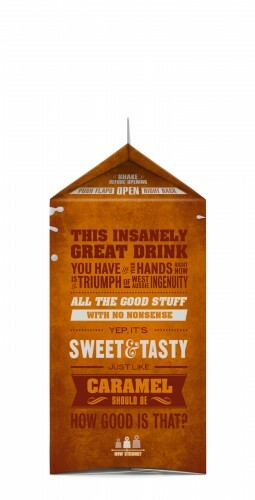 As a result, Brownes reformulated their entire range to deliver best tasting flavours and needed a design that reflected the strength of these flavours and was bold enough to engage the target market. Boxer & Co. created the new Brownes CHILL letterforms to look as though they have been punched out of iron, creating a strong and confident brand mark. The logo reads vertically, which enables it to play-out in a bigger, prouder way whilst differentiating it from its competitive set. A concrete-like texture is visible through the logo and floods the background of the pack, giving an authentic, hard-hitting feel. The Brownes CHILL logo morphs into an explosion of milk and flavour, meaning the reformulated flavour imagery and descriptor fill the ever-important top third of the pack, promising a really flavour-packed experience. 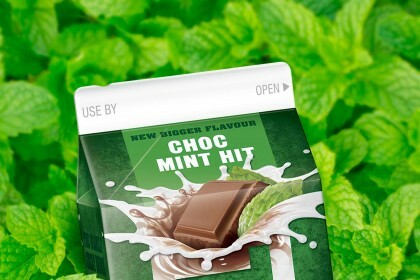 The pack is dual facing for ease of shelf-stacking and brand recognition. A mixture of sans serif and slab serif fonts own the third side of the pack. With a gentlemanly, letter-press influence, this side of pack copy describes the brand, the variant and the realness of the flavours in a manner that has attitude and engages. Even the barcode adds action and differentiation, with its rolling West Australian wave and surfer.